Indian Prime Minister Narendra Modi is urging people to cast their ballot in the upcoming Lok Sabha elections set to take place in April-May. 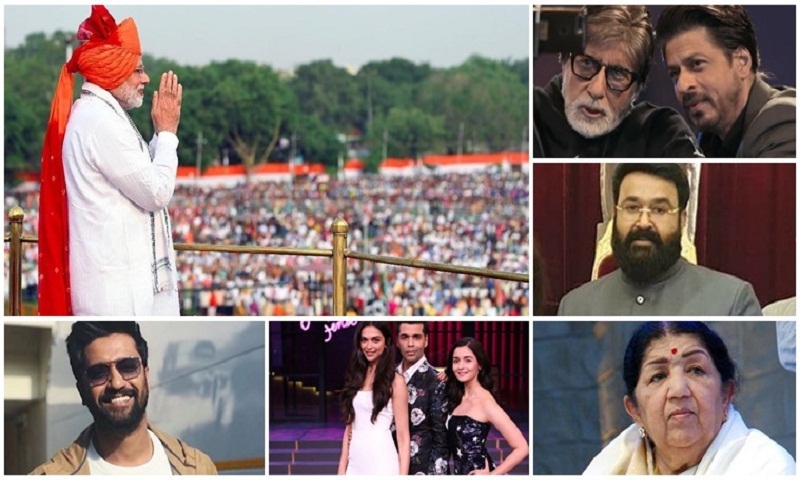 PM Modi took to his official Twitter account and tagged various big names, including Bollywood stars to encourage the citizens of the country to come out and vote in large numbers, report The Indian Express. Bollywood biggies like Amitabh Bachchan, Shah Rukh Khan, Salman Khan, Aamir Khan, Karan Johar, Deepika Padukone, Alia Bhatt, Anushka Sharma, Ranveer Singh, Vicky Kaushal, Shankar Mahadevan, Lata Mangeshkar, AR Rahman, Bajpayee Manoj, are among the few the Prime Minister tagged in his recent tweets. Stars from regional cinema including Mohanlal and Nagarjuna Akkineni were also tagged by PM Modi, apart from several sports persons, media personnel and politicians. His aim is to inspire people of India to set a new record of high voter turnout in the upcoming elections.